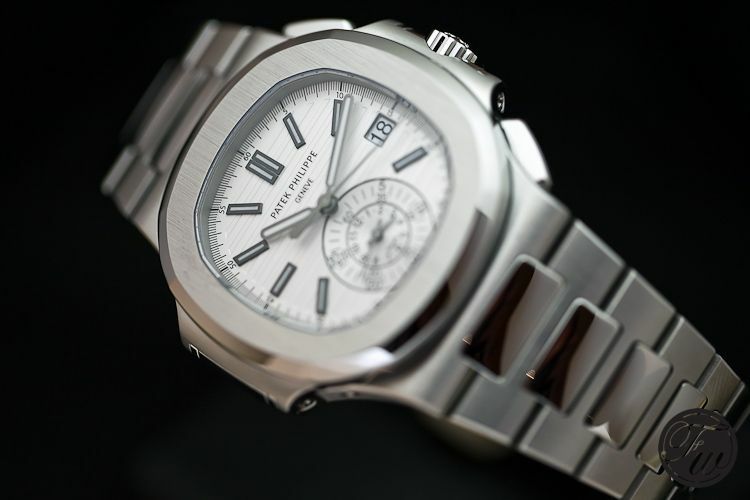 Patek Philippe introduced some white dial versions for their Nautilus collection during the BaselWorld 2012 exhibition. Fratellowatches had a chance to get them in front of the lens during our meeting with Patek and we’re happy to share our photos with you. We also were able to get the new Patek Philippe 5204P (split seconds chronograph and perpetual calendar) in front of our lens, we will get to that fantastic timepiece in another blog post. 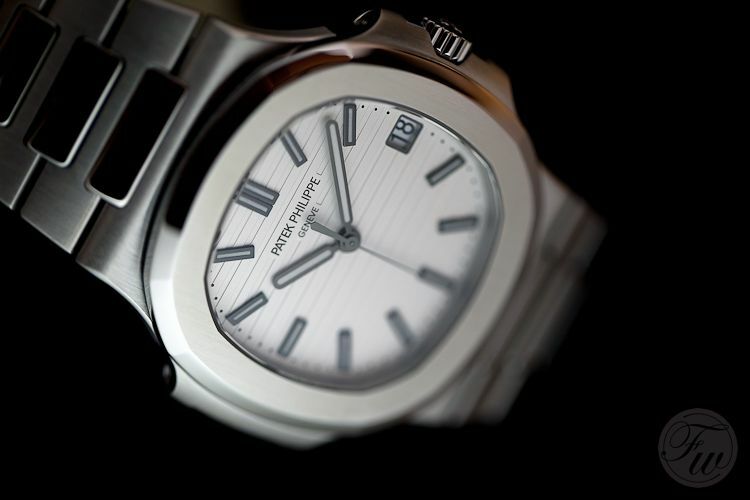 As you may know, the Nautilus is – together with the Royal Oak – a watch that get mentioned a lot here. We love icons, especially when designed by the late Gerald Genta. Last year’s BaselWorld brought us a new version of the Aquanaut (Travel Time) ref.5164 featuring a dual time zone. Although the Aquanaut is a superb timepiece, designed to introduce a more up to date version of the Nautilus to a younger public, we can’t help it that we still favor the Nautilus although we are aware that the Aquanaut has a lot of fans as well. 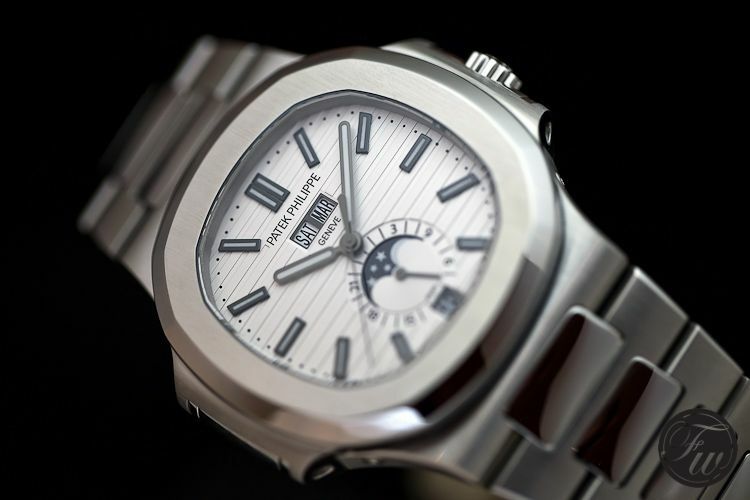 Besides updating some of the current Nautilus models with a white dial, Patek Philippe also introduced a new Nautilus ref. 5126/1A (movement 324 S QA LU 24H). Just like the already existing ref.5712/1A this model has a moon phase indicator, but also features an annual calendar and 24-hour display. Just a tad bit bigger than the ‘basic’ Nautilus ref.5711/1A, this is one great comfortable watch and we think its dial is more balanced than the previous mentioned ref.5712/1A with moon phase indicator. Also available with the black dial, known as ref. 5126/1A -001 (the white dial version is -010). Then, the mother of all Nauti (ref.5711/1A) is from now on also available with a white dial, referred to as 5711/1A-011. 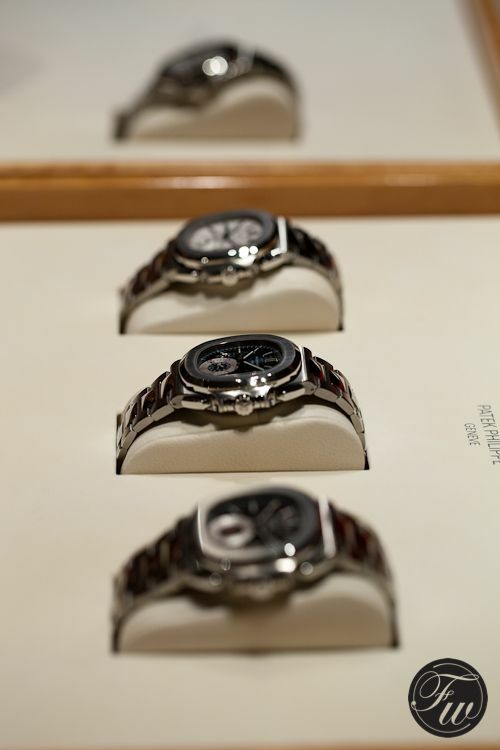 All technical specifications are the same, except for the dial color. 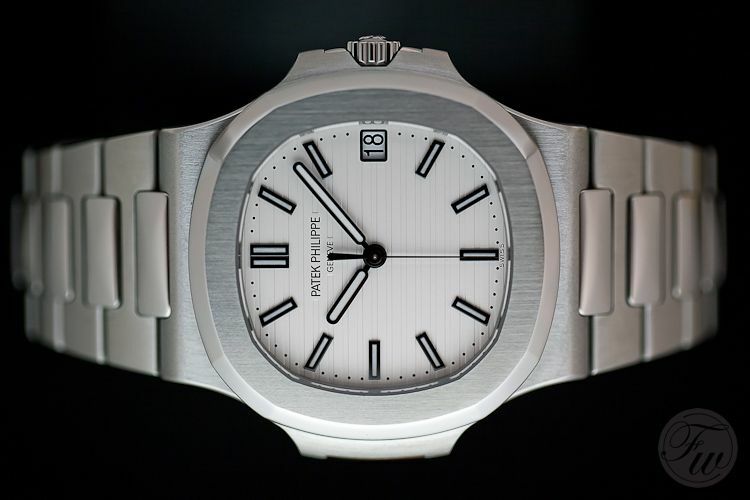 Although the white dial may seem a bit hard on the pictures, wearing it on your wrist tones it done a notch or two. We’ve found them to look very stylish with a nice light colored shirt. As you can see, the finish on the bezel and bracelet are identical to that of his dark brother. 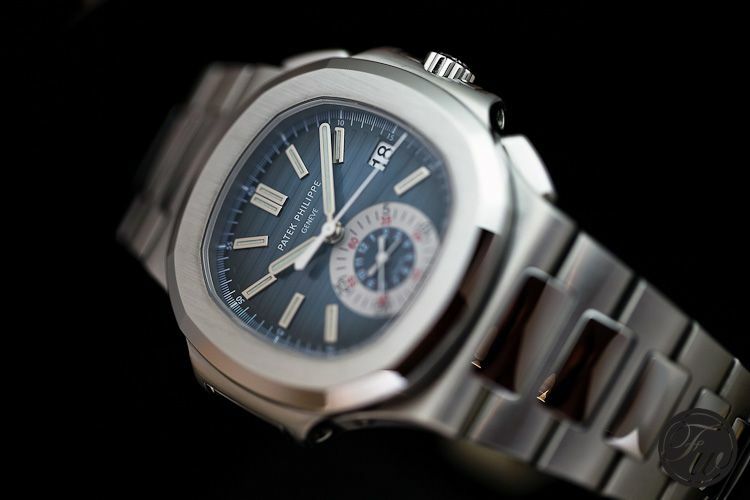 Last but not least is the Nautilus Chronograph ref. 5980/1A, a very popular timepiece amongst collectors who find the Nautilus 5711/1A a bit too slim and small for their wrists. 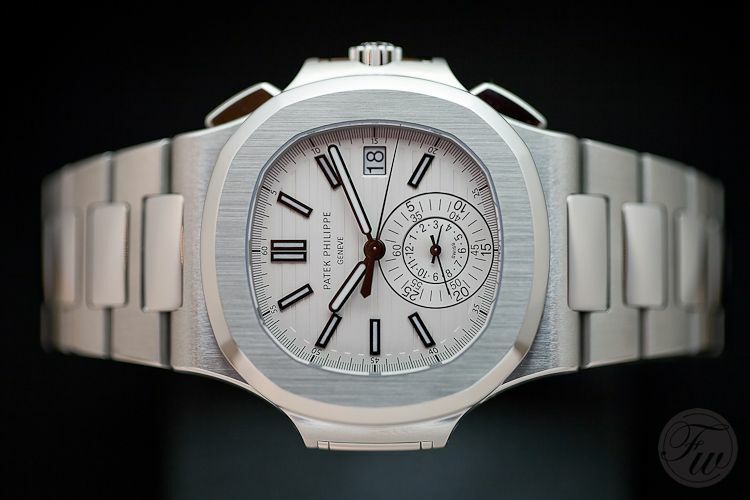 Besides the version with a blue or black dial, there will also be a white dial version available from Patek Philippe. This white dialed model also has the white sub dial for the 60 minute and 12 hour monocounter positioned at 6 o’clock, instead of a colored sub dial of the blue and black versions. 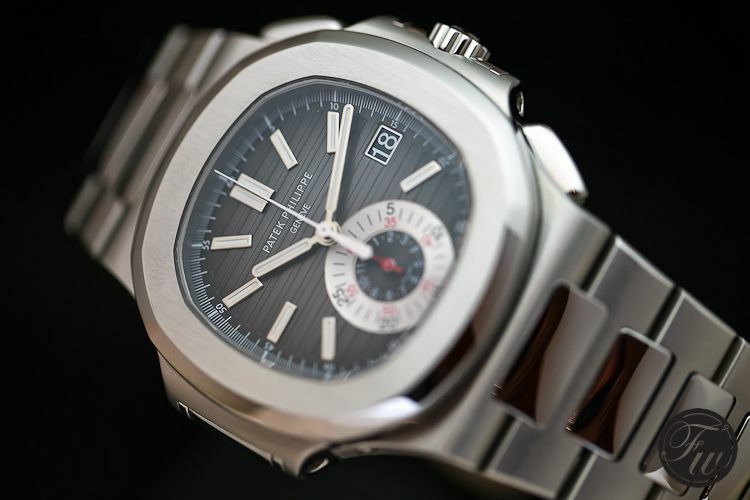 Above, an overview of all three PP Nautilus Chronograph 5980/1A variations. The prices remain the same for all models (except for the new 5126/1A moon phase annual calendar, which is an entirely new model). The Nautilus Annual Calendar 5126/1A has a CHF 39.000,- price tag on it and therefore the Nautilus Chronograph 5980 is still the most expensive stainless steel Nautilus model with a CHF 42.000,- price tag. The basic Nautilus 5711/1A lists for CHF 21.000,-. Although we have a lot of love for the most basic – and vintage – Nautilus, the ref.3700/1A (which we mentioned earlier here at Fratellowatches) and could be considered our grail stainless steel watch, we actually love the other versions as well. Not sure whether there is a slight preference for the dark dials or the white dials of some versions, you can’t go wrong no matter what dial color you choose. 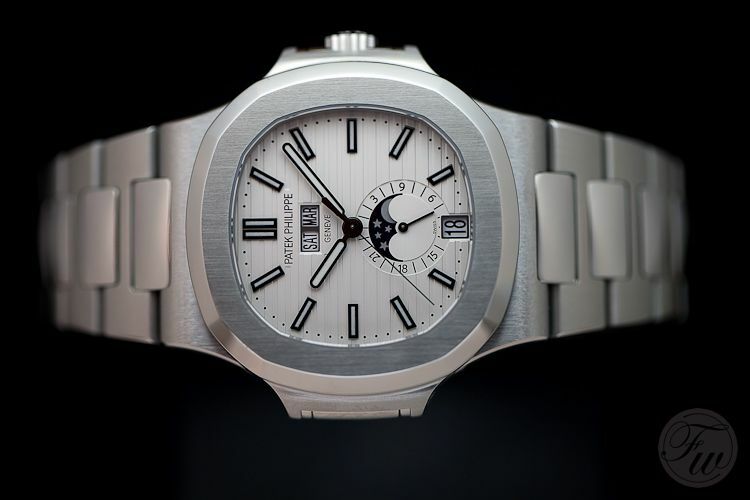 Patek Philippe surprised us by introducing the white dial versions of the Nautilus, in a good way though. Perhaps some of the purists dislike any variation of the Nautilus (and mainly love the discontinued 3700/1A), but we love all of them. 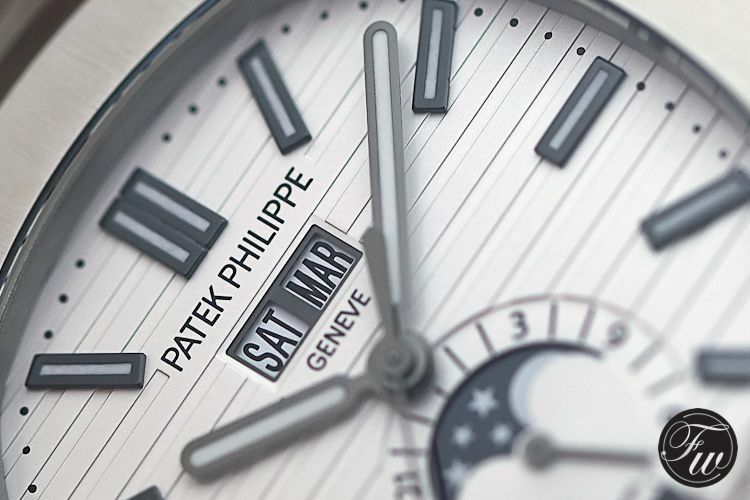 More information can be found on the special ‘New Models 2012‘ page on the Patek Philippe website.